Not every camper van has a poptop, but those that do will find the canvas doesn't last forever. We are here to help when that day arrives. Whatever lifting roof you have, we probably have a solution for you. As with everything we do, where there is an option to choose, we will always advise on the best quality products for you to make an informed decision. If your roof is beyond repair or you don't have a lifting roof and want one, we are fitters for SPACE ROOFS. 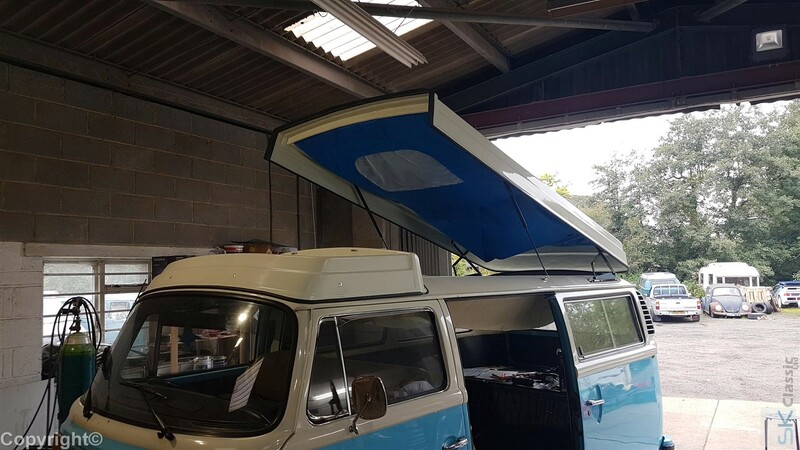 These are great quality 100% brand new roof systems designed for Splitscreen, Bay Window and T25 Vans. 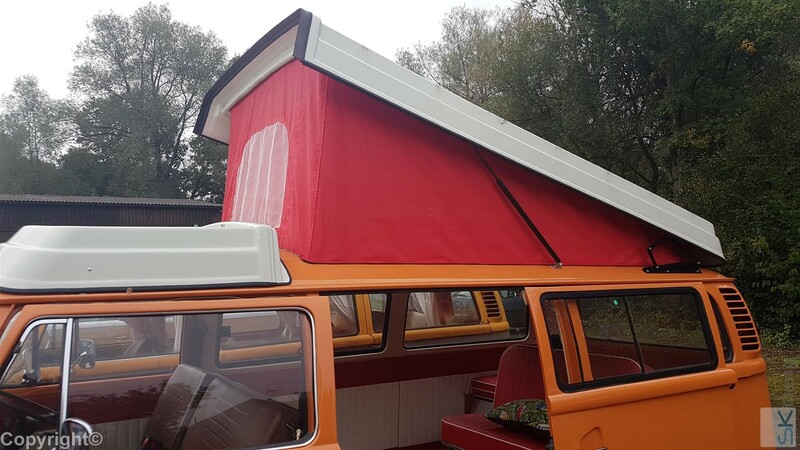 These top quality reproductions of original designs are the best and despite their cost, the most cost effective method to making sure you have no issues with your camper vans lifting roof. All prices are for fitting new roof to tin top van.Add £175 +vat to each price is we are replacing an existing poptop roof. Below is a guide to the cost of replacing the most common roof canvases. Contact Us to talk about replacing your roof canvas.